BLOG | Stories of beautiful babies and families. 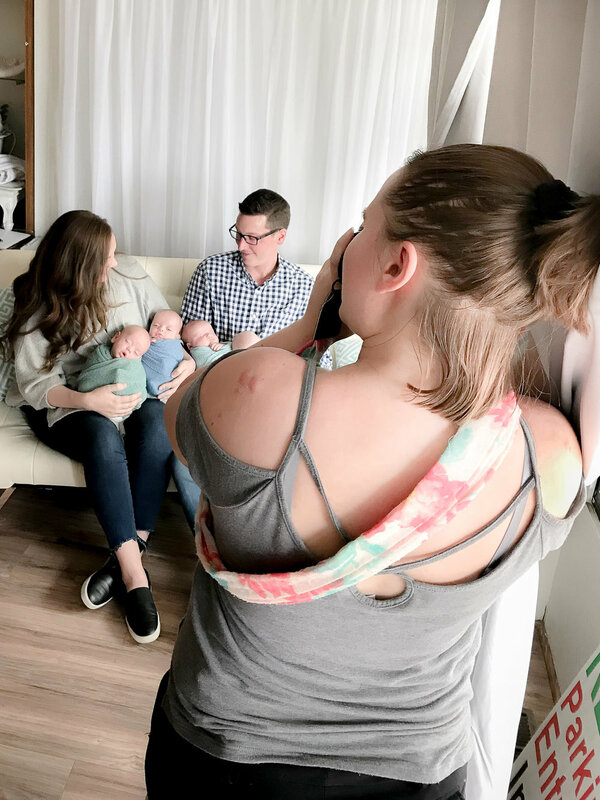 Quite often I speak about my belief in Community over Competition and recently I got to see it in full swing when a fellow friend and photographer (Samantha Jessup with Miracle Kisses Photography) asked if I wanted to help her with a newborn session for quadruplets! But what does Community over Competition really mean? Well to me it means building a sisterhood with other photographers and birth professionals and understanding that when we can help each other and build one another up; to be a support for one another, it can open doors for us we didn’t even know existed. When I arrived, there were two more photographers there to assist her. We are all photographers in our own right but we all offer something a little bit different to our clients. We all have our own style, our own specialty and there are more than enough babies for everyone! I specialize in Birth Photography and also offer lifestyle newborn and maternity sessions. This session was going to be in Samantha's studio. I don't offer studio sessions and this is where the community over completion comes into play. 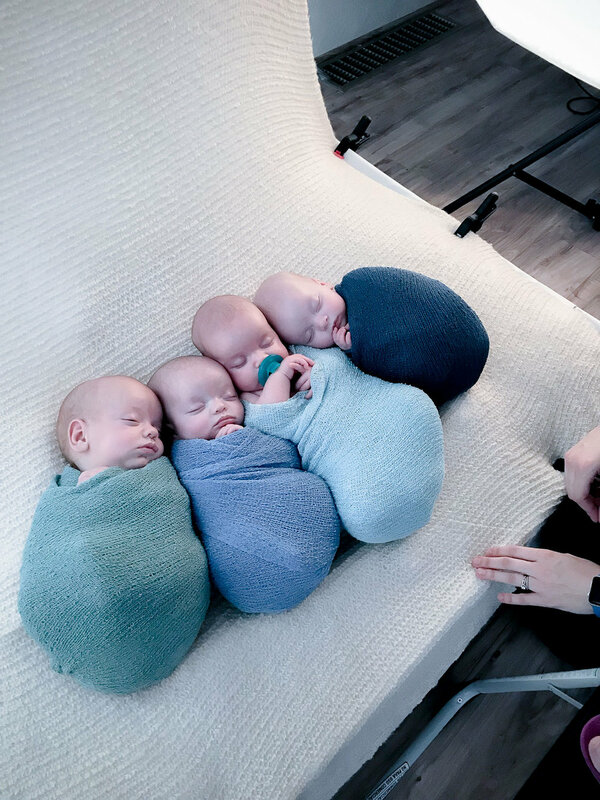 All four of us photographers were there to make sure the mom and dad of these beautiful babies got the images of their little ones they wanted. Now keep in mind there was one photographer in charge of the shoot, the rest of us were there simply to assist her and help make the parents and Samantha's vision come true. I watched Samantha as she set up her backdrop and four tiny little baskets; getting everything just right. Us three "assistants" worked around her in unison. One setting up lights, another sweeping and the other gathering up the right baby wraps. It was fun getting everything ready and I was getting excited for mom and dad and the babies to arrive. Then they were in studio. Ted and Hannah Fair with The Fair Four Quads, four perfect little babies. One boy and three girls; Harry, Catherine, Frances, and Helen. The three "assistants" each took a baby while dad held the other and mom finished getting ready. I felt so honored to be part of their session. Now the real fun begins. The babies are undressed and fresh diapers were put on. One by one each baby was swaddled in a perfect wrap. At any given time, one of us would be soothing a baby and another might be feeding a baby. The goal of course was to get all four babies asleep at the same time and I have to tell you we did it quite easily, like a team that had been working together for years, when in actuality most of us had just met that day. I also like to think it's a testament to all of our experience with newborns and as mothers and for me as a grandma. But honestly, the babies were superstars. Part of what made this whole experience extra special, was being able to hear the parents tell the story of how hard they worked to get their babies. The years of fertility treatments and then taking one last chance before considering adoption. This resonated with me because I really hope to someday follow a family going through fertility treatments and document their story along the way. Then just like that, we were done. This is what I learned. My belief in community over competition is solidified. I believe watching other photographers work and assisting them only makes me a better photographer. I loved working with these ladies and now I feel like I have three new friends I can collaborate with and share ideas with. They are also new resources for me. If I have someone inquire about services I don’t offer but they do, I am more than happy to refer them to these fine ladies. What matters is not if I get the client, but that the client gets beautiful images to treasure for a lifetime! Thank you to Samantha Jessup of Miracle Kisses for letting me be part of this amazing experience. It was so fun working with Samantha, Brittany of Brittany Gamblin Photography and Jamie of Jamie Herrera Photography. I look forward to working with all of them again! You can follow Ted and Hannah and their four little blessings on Facebook and Instagram #thefairfour. 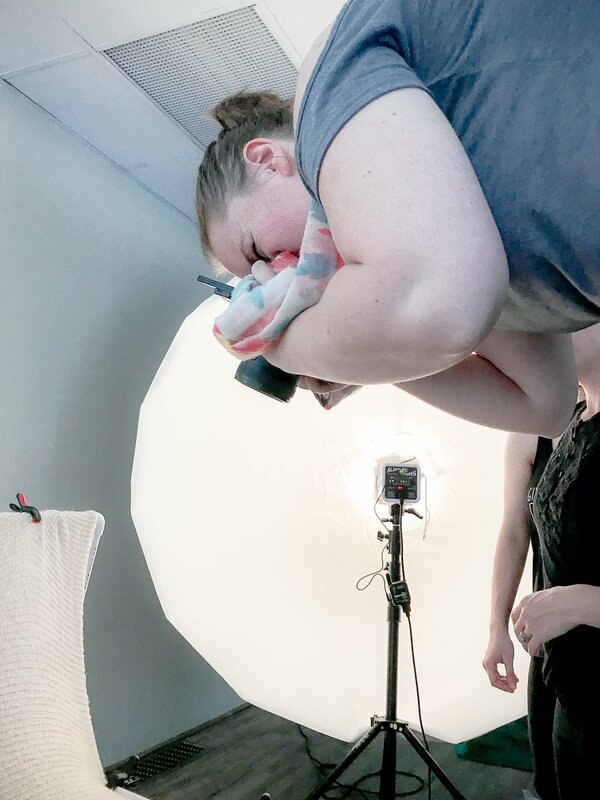 If you are in Northern Colorado and would like to schedule a birth photography, newborn or maternity session consult, please click on the CONTACT tab above.